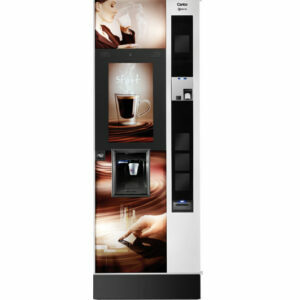 The Opera floor standing vending machine from Necta is an excellent high-end coffee machine which prepares delicious beverages and, from the office to the gym, it will fit right in wherever you choose to locate it. The use of Sigma freshbrew technology means that this machine is a tea-lover’s dream, providing a fresh cup on demand. 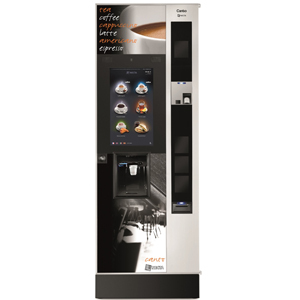 Opera vending machines also produce excellent, refreshing coffee – with a great range of options including cappuccino and mocha, as well as the ability to personalise drinks by choosing the strength or adding extra sugar. 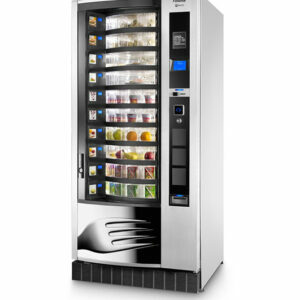 We love Opera floor standing vending machines because they offer so much variety, and this is also what makes them ideal for such a wide range of different applications. 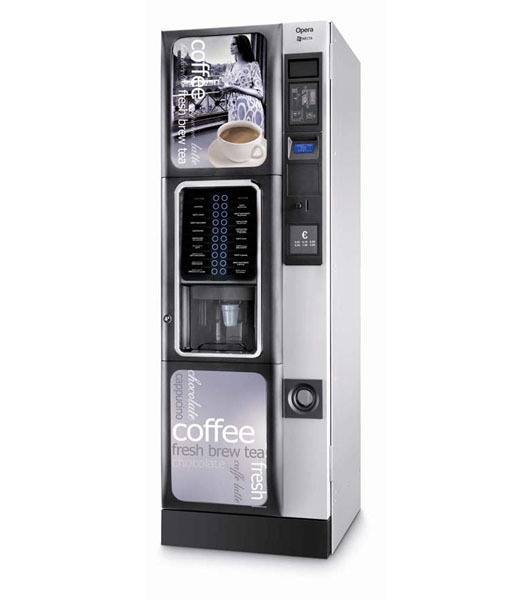 Place this coffee machine in the waiting room, reception area or corridor of any business and make sure that your clients can be instantly served with a warming beverage while you wait. Alternatively, you can have an Opera machine set up for your employees to improve their working day, avoid mess such as spills and save the time that’s usually spent boiling the kettle. When employees are well looked after company morale goes up, which is one of the best ways to improve productivity. By choosing a machine with such an excellent drink selection, you’ll be giving that little bit extra – which you’ll get a return on, in the form of an excellent work ethic from happy staff. 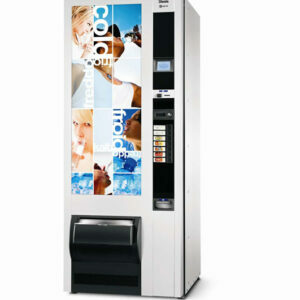 Best of all, Opera vending machines are also a cost effective option, and therefore great for any business’ bottom line. Opera is designed to be simple yet stylish, with a black and silver colour scheme which will complement any décor. 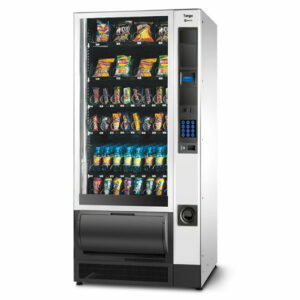 The LED panels on the front door add a contemporary twist, making this one of the more aesthetically pleasing mid-size vending machines that’s currently available. Users also benefit from a simple LED display which makes choosing and customising a drink nice and easy: with a few quick choices they can put together their perfect brew in a matter of moments. If you choose to have a model with a chiller fitted, you’ll also get still chilled water and two still chilled syrups. And don’t forget, if the Opera coffee machine is the right choice for your company, we’ll also be able to provide all the additional items, such as the tea, coffee and other drinks ingredients, and cups. This is a particularly advanced choice, with great components – including a FREEMIX system that uses specially crafted mixers to make a better final product, 6 modular canisters to allow for more variety, and the patented Sigma freshbrew technology. All of this is reflected in the drinks that are served to your clients or employees. It is also an energy efficient model, and the 500cc boiler has been chosen to reduce energy consumption; this is another great way for you to keep cost downs by spending less on powering your machine. We’re sure you’re going to love the Opera vending machine, so why not give us a call and let us talk you through any details that you’d like to learn more about? The Forward Vending team are also available to chat about the many other options that we can provide; just call 0800 444 443 or email us at sales@forwardvendors.co.uk.